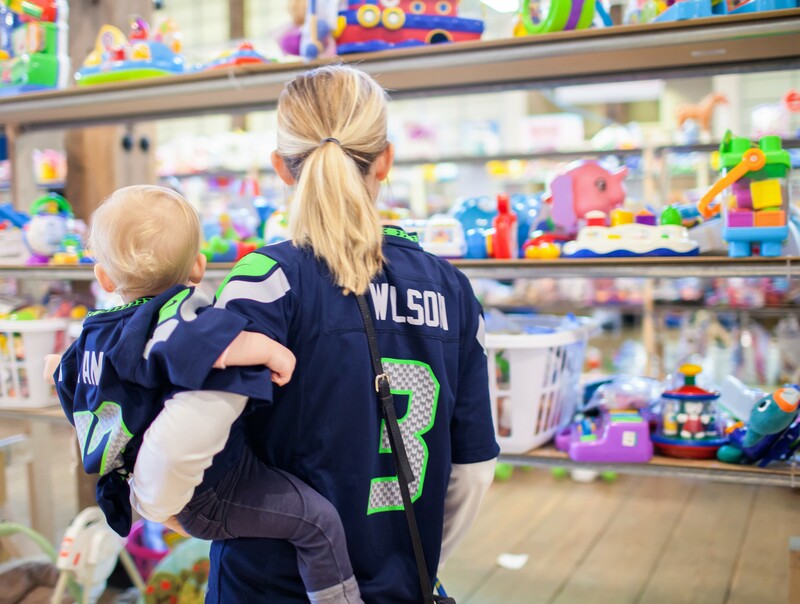 The biggest selection of kid's essentials for local families all under ONE roof! Wednesday, October 9th | Presale Day! While children are allowed, please use discretion as presale night can become very busy. Children must stay next to an adult at all times. Thursday, October 10th | Opening Day! Saturday October 12th | Half Price Day! Sunday, October 13th | Up to 75% Off Day! "I like that it's very convenient to sell my items in one place and the whole process is very organized. I would love to see an option to by/sell women's and men's clothing as well. " "By far this is the BEST JBF event!!! Everything is a smooth and uncomplicated process from check-in to pickup. There is always an amazing easy going vibe which makes it less stressful for consigners. Courtney is so awesome and the family friendly relaxed atmosphere she has created makes this location great to shop and consign. Because of Courtney’s wonderful positive attitude I am eager to contribute, participate, and volunteer. Thank you to everyone that has helped make the Pickering Barb event possible. I can’t wait for the next one!"